Ideally you would need a couple more days to see what Barcelona really has to offer at your leisure, but you can achieve a lot in three days, so we’ve given you a route that should give you the opportunity to make the most of every minute. 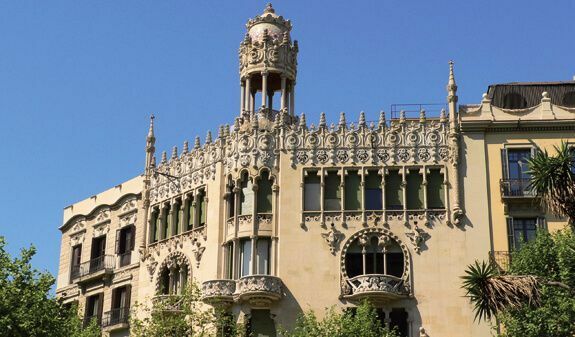 There will be time to visit buildings of great architectural significance, to walk through the city’s historical streets, to enjoy a good paella by the sea, to get to know the former fishing district of Barcelona, and to see some of the best views of the city. The tour is just one suggestion of what we think would be interesting for you to see and visit during your 3-day stay in Barcelona, but of course it’s only a recommendation, and you can adapt it according to your own interests, spending more or less time on each of the visits that we recommend, and taking into account the time of year and the weather when you’re planning trips to the beach. You’ll also want to tailor your trip according to your preferred evening entertainment. What if an expert of Barcelona plans your 3 days trip? Your interests, the type of trip you are interested in doing and if you are traveling by yourself, with friends, family or with your partner. 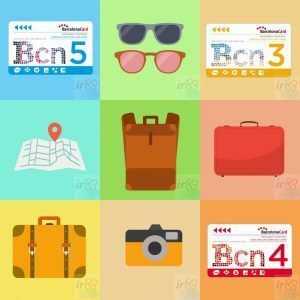 With this information and any other you want to provide, a local expert of Barcelona will organize a plan for you to enjoy your 3 days in the city to the fullest. The first morning starts in the Dreta de l’Eixample neighborhood (there’s no literal translation in English, it refers to the right hand side of the expansion of the city). Specifically, we’re heading to the upper part of one of Barcelona’s most important streets, the Passeig de Gràcia. It’s certainly the most glamorous street in the city, with many classy hotels, designer clothes stores and jewellers. To get to this area, depending on where you’re staying, you could get there on foot, on the metro (Diagonal station, on lines 3 or 5), or on the bus. Before starting your walk, it would be a good idea to go into the Palau Robert, because inside you will find one of Barcelona’s tourist offices, in which you can pick up a map of the city and some leaflets, and you can ask any questions you may have. Taking advantage of being in the building, we also encourage you to ask about any temporary exhibitions they have on at the time, as you may find them interesting. If you haven’t already had breakfast, or if you’re ready for a coffee, you can stop off at the lovely El Café de La Pedrera, situated in the basement of the Casa Milà, either inside it or at a table on the outside terrace. After visiting the Casa Milà you can keep walking down the street until you arrive at Carrer d’Aragó, at which point you’ll see the façade of another of Gaudí’s iconic works, the Casa Batlló. As with the Casa Milà, it’s considered to be one of the ten unmissable sights of Barcelona, so we do recommend that you visit it. After this visit, and before finding somewhere for lunch, take a look at the beautiful façades of two other great works of Catalan modernism, the Casa Amatller by Josep Puig i Cadafalch and the Casa Lleó i Morera by Lluís Domènech i Montaner, both of which you can visit if you wish. Depending on how much money you’d like to spend, there are various options for eating on the Passeig de Gràcia, from the best restaurants to small fast food cafés. We recommend that you wander up to the Rambla de Catalunya, which is parallel to the Passeig de Gràcia, where you’ll find a huge variety of mid-range bars and restaurants, most of which offer good value for money, especially taking into account the area in which you are. If you have time, it’s worth eating out on one of the terraces in the central part of the street. Don’t get too full, because a good afternoon treat awaits you! ;). After eating, walk down to the Plaça de Catalunya, the most central point of the city, and cross the square to see Barcelona’s best-known street by the millions of tourists who visit – Las Ramblas. You’ll immediately see the Font de Canaletes, the fountain at which F.C. Barcelona’s supporters gather to celebrate after their team’s victories. Keep walking down Las Ramblas and turn left into Carrer de la Portaferrissa until you reach Carrer Petritxol. It’s compulsory to stop off on this street at one of the two ‘granges’ – the chocolate cafés Dulcinea and La Pallaresa – to try their amazing hot chocolate with churros, or a good coffee accompanied by one of their home-baked pastries. Whatever you try, you’ll love it! Then keep walking down the Carrer Petritxol, taking in the views, as you’ll soon see the stunning image of the Basilica de Santa María del Pi’s huge stained glass window. You’ll be able to see it much better from the Plaça del Pi itself, in which an artisan market, the ‘Col·lectiu d’Artesans d’Alimentació Plaça del Pi’, takes place every first and third weekend of the month. It’s an ideal place to buy gifts for any of your friends and family who like good food! 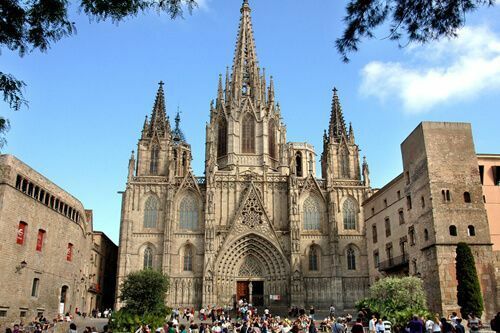 We then think it’s a good idea to have a wander through the streets of the centre of Barcelona’s Gothic Quarter (el Barri Gòtic), visiting any of the places that stand out for you, or simply walking through the streets that are so full of history. After completing your walk round the Gothic Quarter return to Las Ramblas, to visit the famous Market of La Boqueria; here you can buy one of their delicious freshly squeezed juices to take away if you’re ready for a drink. After walking round the market’s many stalls, keep walking down Las Ramblas until you get to the Carrer Nou de La Rambla, where you’ll come across Gaudí’s Palau Güell. Depending on your schedule, you might even have time to visit it. Now that you’re already at the end of La Rambla, if it’s Saturday or Sunday you’ll see some artisan stalls which may also be a good place in which to buy a quirky gift. Just before reaching the Christopher Columbus statue, you’ll see the street artists and human statues, who will let you have your picture taken with them if you give them a few coins. Before finding somewhere for dinner, walk up to the Rambla del Mar, the drawbridge next to the sea. Depending on the time and the season, it might already be dark or could be getting dark – either way, you’ll enjoy a nice view. Although you’re bound to feel hungry as you walk along La Rambla, please avoid these restaurants and their terraces – you will thank us for this advice! On Carrer Ample, which runs from the Basílica de La Mercé to the Plaça de Antonio López, there are many restaurants that serve very good food. 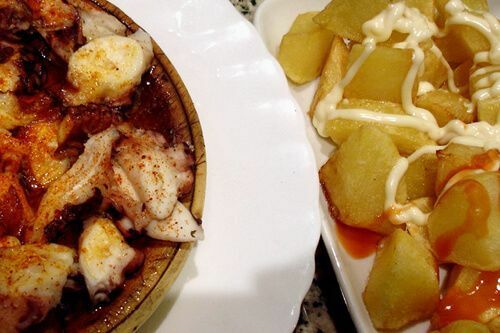 We also recommend looking at the restaurants on Carrer d’en Carabassa and Carrer de La Mercé. If you cross the Rambla del Mar you’ll arrive at the Maremagnum commercial centre, in which there are many restaurants, especially on the upper level, some of which will also offer good views of the area. If you’d like to extend your first night in Barcelona by enjoying a drink before returning to the hotel, we’d recommend the Bosc de les Fades (‘The Fairies’ Forest’) at Passatge de la Banca, 5. Alternatively you can try one of the bars in the southern area of the Gothic Quarter. Weather: if there’s the possibility of rain or cloudy weather on one of the days during your visit to Barcelona, this is the day on which to do follow the plan for Day 1. 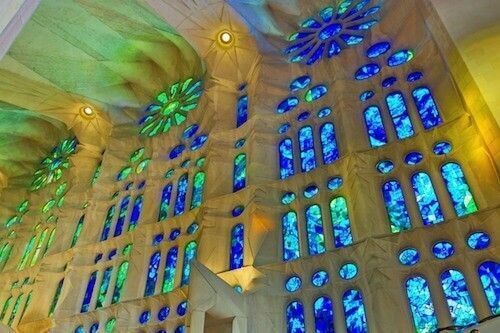 The second day starts with a cultural visit, to the Sagrada Familia. For this, you should take the metro and get off at the Sagrada Familia stop (lines 2 and 5), or you could take any of the buses that have a stop just outside Antoni Gaudí’s great work. After the visit, return to the metro station to head up to La Barceloneta district. In order to get to La Barceloneta from the Sagrada Familia stop you’ll need to change either at Verdaguer (with Line 5) or at Passeig de Gràcia (with Line 2). To save having to change, you can walk to the Verdaguer stop (less than 10 minutes) and take Line 4 directly from there. If you’re in Barcelona during the summer months, this will be the perfect time to enjoy a day on the beach, so you can lay your towel on any of the beaches in the area (Platja de Sant Sebastià, Platja de Sant Miquel, Platja de la Barceloneta or Platja del Somorrostro), and sunbathe, taking a refreshing dip in the sea if you wish. If, however, it’s not summer or you don’t fancy going to the beach, we recommend that you go to La Barceloneta to have a wander round the former fishing district. If you’ve set aside a day to spend a little more money on lunch or dinner, this should be the day on which to do it. The majority of the restaurants in this area specialize in paellas, fideuás and all sorts of seafood dishes. There are a few restaurants near the seafront that have outside terraces, and many others in the side streets in the middle of the district. You would be hard pushed to find a restaurant that’s not of good quality, but in case you prefer to take our advice, we’ve given you a list of some of the best nearby restaurants. Where to enjoy a good paella in La Barceloneta? + info on where to eat a great paella in Barcelona. It would be a good idea to reserve a table at the restaurant that takes your fancy before going to the beach to sunbathe, or before your walk round the area; otherwise, you might have to wait a while for a table. There’s no better way to work off your lunch than to go for a ‘gentle’ stroll around the Montjuïc Hill. So that you don’t arrive exhausted, and in order to enjoy some of the best views of Barcelona’s coastline, go up the Aeri del Port cable car from the San Sebastià beach. 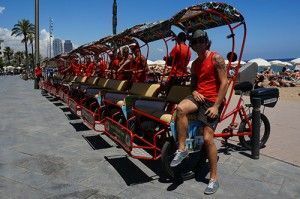 This will take you all the way up to the Miramar gardens, from where you can also enjoy a wonderful view of Barcelona. You should take into account the time of year, so that you know when it will get dark. 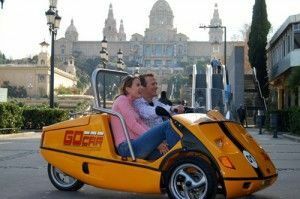 Ideally you’d like to enjoy the city views from the various viewpoints when there’s still daylight, and if possible, you can ensure your visit to Montjuïc Castle coincides with sunset. There are many walks that you can do once you are in Montjuïc, but given that you probably won’t have enough time to see everything, we recommend the following sights (in order). After watching the sunset it’s time to go down to the Magic Fountain of Montjuïc to see the ‘son et lumière’ show (you should check the times of the shows in advance). To get to the fountain, you can catch the 150 bus from right next to Montjuïc castle. The paella is likely to have filled you up, so you may not be very hungry. If this is the case, a good option could be to watch the ‘son et lumière’ show at the Magic Fountain then grab a sandwich (you’ll find various bars in which to buy one on Carrer Lleida), and eat it on one of the nearby benches whilst watching the display again from further away. If you’re used to eating earlier you could have a sandwich while you’re still up at Montjuïc Castle (inside the castle there’s a bar where you can buy one), while you enjoy the sunset. If you’d rather eat a little later we recommend that you go up to Carrer Blai in the metro (taking Line 3 from España station and getting off at Poble Sec) or on foot (it’s just a 15-20 minute walk). When you arrive you’ll find many bars and restaurants, but we recommend going to one of the pinchos bars (Blai Tonight, Blai Tonight II or Blai 9, for example). They are very good value for money, and are an excellent option for eating good food without getting too full. Whether you choose to eat on Carrer Blai or choose one of the other two options, a good way to round off the night is to have a drink on Carrer Blai. If you don’t mind walking a bit, we also recommend going to one of the bars on La Rambla del Raval (Cafè de les Delícies, Ambar or BarRaval). Weather: if you’re in Barcelona during the summer, good weather is necessary as you’ll be on the beach for a few hours, as well as walking along the seafront and around Montjuïc. Day of the week: doesn’t make a difference. The Sant Pere, Santa Caterina i La Ribera-Born district is one of the most charming areas of the city, where, in our plan, you’ll spend the morning of your third and final day in Barcelona. To get to the area you can take the metro and get off at Urquinaona (lines 1 and 4), catch one of the many buses that serve this area, or walk if your accommodation is nearby. Do you need more time on the beach? If so, you can change your plan for this morning to return to the beach, having a quick walk around the Sant Pere, Santa Caterina i La Ribera-Born district afterwards. 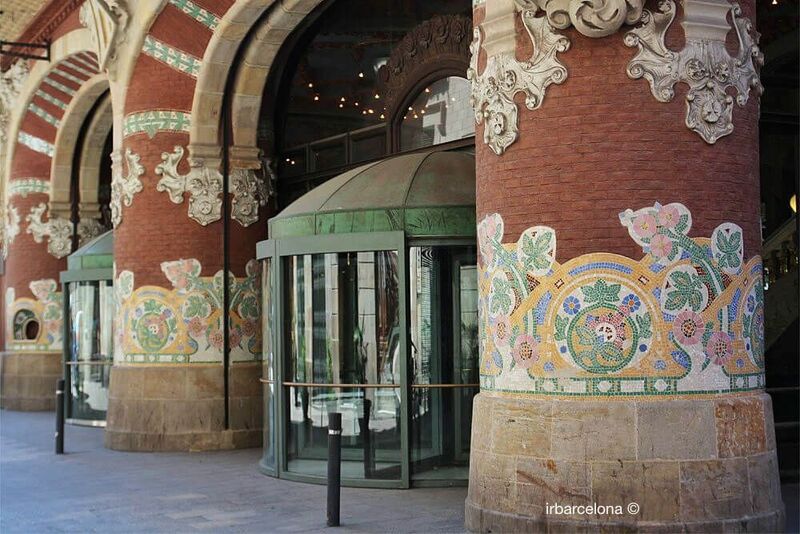 Start to walk down the Via Laietana street, and when you reach the Carrer Sant Pere Més Alt turn left, where you’ll see the façade of the Palau de la Música Catalana (the city’s concert hall) just ahead of you – it’s a true marvel of Catalan modernism. If you don’t want to pay to go inside, we recommend enjoying a coffee in their café, the Cafeteria Foyer, which will allow you to get a feel for the amazing decoration of the building, the highlight of which has to be the huge stained glass skylight that presides over the concert hall. The tours of the Palau de la Música are guided, and are in different languages, depending on the time of the day. If you’re planning to visit, we recommend looking up the times of the tours in the language you want beforehand, as well as purchasing your tickets online in advance. You can then keep walking down the Via Laietana until you get to the Carrer de l’Argenteria, which will take you into the heart of the Sant Pere, Santa Caterina i La Ribera-Born district. There are many sights that are well worth a visit in the area, or at least worth seeing from outside, so choose the ones that you are most interested in. As well as visiting the sights that we’ve listed, we recommend that you walk along the Carrer Princesa and Carrer Montcada, and also discover the narrow streets near to the Basílica de Santa Maria del Mar without any fear of getting lost! These streets are full of cafés, bars and restaurants, as well as shops specialising in crafts, fashion and accessories. When finding somewhere to eat, we recommend that you follow your intuition, in order to choose amongst the huge variety of bars and restaurants in the area. The vast majority of them are very good, so you’d be unlucky to be served a bad meal. Thanks to the great choice available to you, you’ll be sure to find something that fits every budget – you can enjoy a couple of slices of pizza and a drink for less than €5 (La Pizza del Born) or a Venezuelan ‘Arepa’ (La Taguara Arepería) for a similar price, that you can eat in the nearby Parc de la Ciutadella. There are many F.C. Barcelona fans from all over the world who visit our city. 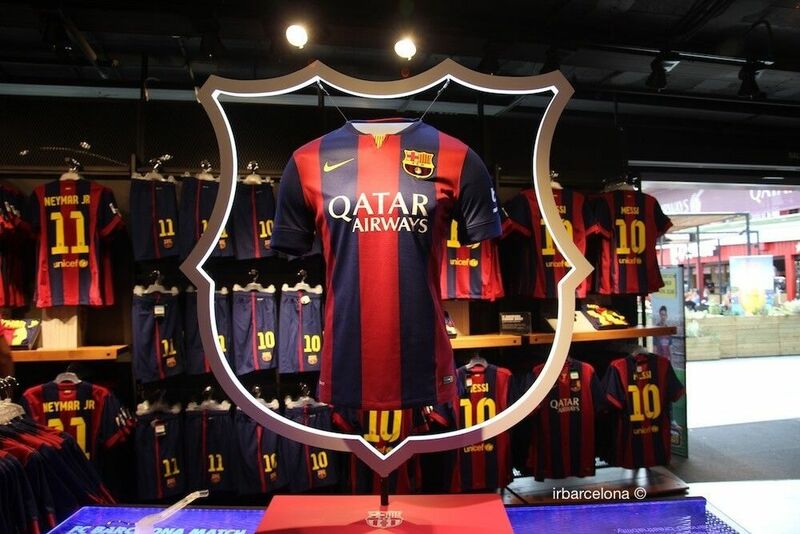 If you are one of them, the visit to Camp Nou and its museum is a must. To get to the stadium you can take the metro (from wherever you might be on Line 4), changing to Line 3 at the Passeig de Gràcia in order to reach your destination at the Palau Reial or Les Corts station. If you’d like to attend one of the F.C. Barcelona matches, the best thing to do is to look up the team’s schedule of home games in advance, in order to plan your visit to Barcelona around one of them. From the end of October to the end of March Park Güell closes at 6pm, so if you’re in Barcelona between these times it will be better to go to the park first, before heading to Camp Nou. When the stadium is being used for F.C. Barcelona’s home games, the tour and the schedule at Camp Nou changes considerably, so it’s always best to check the timetables in advance, and as to whether Barça is playing at home or not. After the tour of Camp Nou you should catch Line 3 again, and stay on it all the way to Vallcarca or Lesseps (the latter is recommended), in order to walk up to Park Güell. 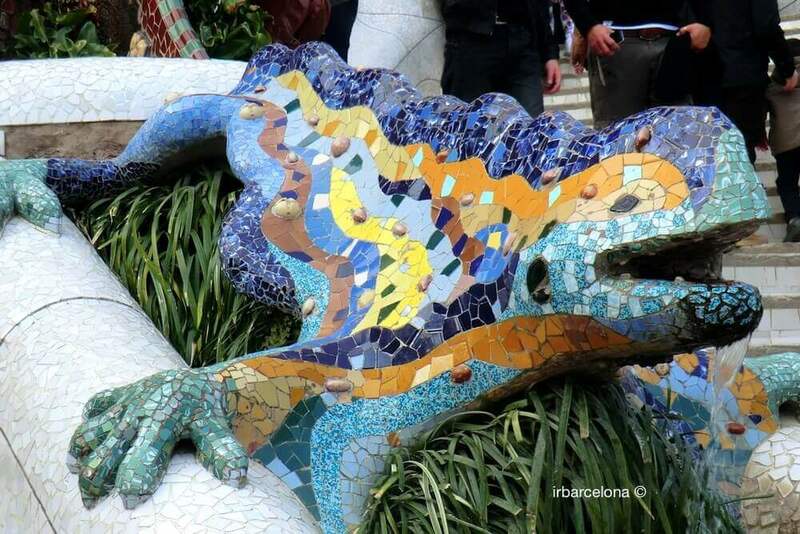 After seeing the park, walk down Carrer Larrard, where you’ll find the Gaudí Experiència, which is great for the youngsters and for anyone with a little imagination! After your trip round Park Güell you could enjoy a sandwich in the park itself (but it would be best to pick up your sandwiches before entering the park, which will be cheaper than buying them in the park), or alternatively, you could walk downhill, past Lesseps metro (around 20 minutes walk) to the Gràcia neighborhood, where there are a huge amount of restaurants and bars (many of which are on Carrer Verdi), and you can eat whatever you like there. If you have time, we recommend spending some time in the lively traditional squares – the Plaça del Sol or the Plaça de la Villa de Gràcia. If you’re not a huge fan of Barça F.C. and the Camp Nou isn’t high on your list of priorities, we have another option for you. Go up to Park Güell by taking the metro to Lesseps (the most convenient station) or Vallcarca. 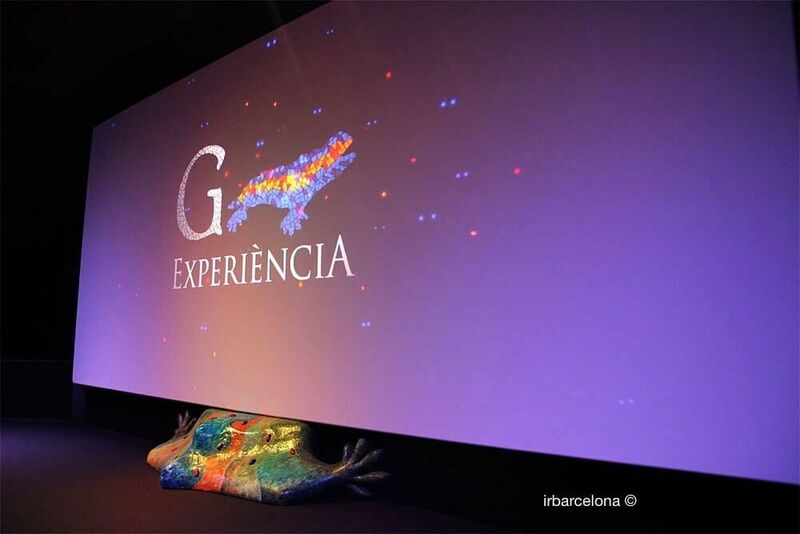 After your visit to the park, walk down Calle Larrard and stop off at the Gaudí Experiència, where, as well as being able to see a 4-dimensional audio visual display (that you would need to pay for), there’s also a free multimedia exhibition about the life and works of Antoni Gaudí. Then walk down to Plaça de Lesseps and catch bus number 24, which will take you to one of the most impressive places in the city, the Mirador del Turó de la Rovira. Get off the bus at the Carretera del Carmel – Carrer Mühlberg stop (if in doubt, ask the driver). When you get off the bus, you’ll see Bar Restaurante Delicias at Nº1 Carrer Mühlberg. It’s a good traditional local bar, which serves excellent food. We recommend either buying some snacks to take up to the viewpoint, or even having dinner there (their tapas, especially their patatas bravas, are very good). Note that it’s closed on Sunday afternoons and evenings, so if you’re there on a Sunday, walk a bit further along the Carretera del Carmel (Carmel road) until you find another bar in which to eat, or to grab something to take away. Walk up Carrer Mühlberg until you get to the top of the Mirador del Turó de la Rovira, from which point you’ll be able to see one of the best panoramic views of the city. We think there’s really no better place in which to spend your last evening in Barcelona. From here you can see many of the city’s iconic buildings, some of which you will already have been to, and some you might need to save until your next visit! 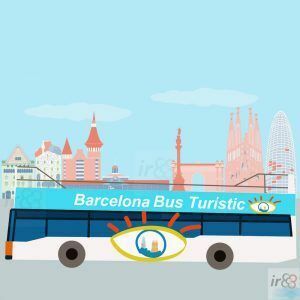 To return to the city centre, take either the 24 or the V17 bus, both of which will take you to the centre of Barcelona, from where you can either return to your hotel or go for a drink. If you’d like to make the most of your last night in the city, you can go to the Platja del Somorrostro (Somorrostro beach) where, right next to the beach, there are several fashionable bars and nightclubs that are firm favourites of the tourists. Weather: a sunny day would be ideal, but if there are a few light clouds in the sky early in the evening this could be even better, as it makes for a beautiful sunset. Day of the week: ideally it would be good to avoid Fridays, Saturdays and Sundays, just because the viewpoint will be busier than on other days of the week, and it can lose a bit of its charm when there are a lot of people up there. 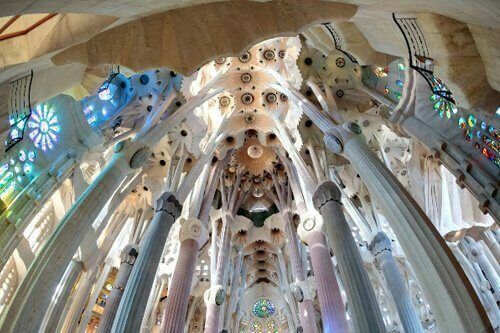 If you are thinking about visiting Park Güell and Sagrada Familia, something I’m sure you will be going to do, then a good way to visit is by buying the tickets with the Barcelona City Pass. 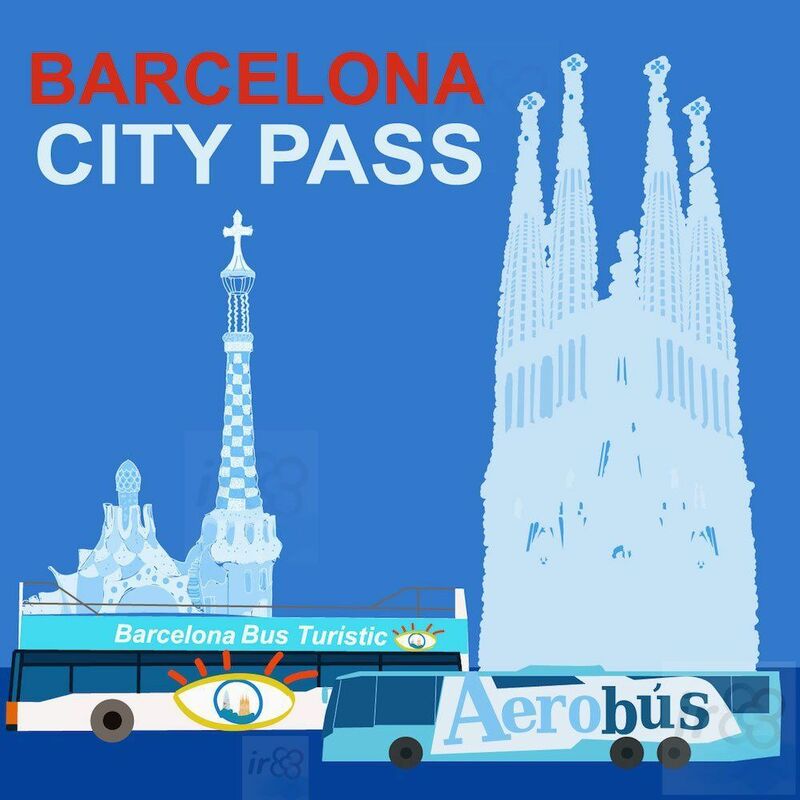 As well as including a visit to these two monumental places in Barcelona, it also includes the journey from Airport (Barcelona or Girona) to the city centre by bus, and an extra 20% discount which is valid for buying tickets to a large number of museums and monuments in Barcelona. You’re likely to use public transport a lot while you’re in Barcelona, so the Hola Barcelona 3-day pass is the most economical option for you. 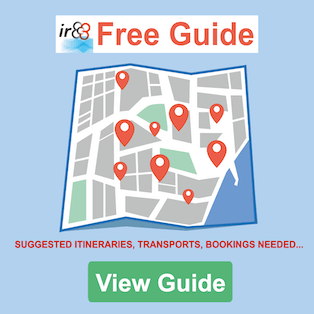 If you also decide to visit some of the museums and sights that are affiliated with the 3-day Barcelona Card, this might work out better for you than the Hola Barcelona (Hola BCN!). 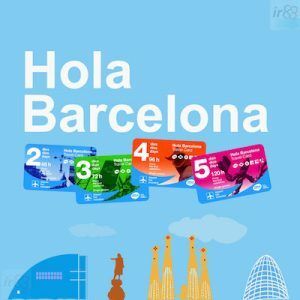 Although the Barcelona Card is more expensive, it offers many discounts, whereas the Hola Barcelona is only valid for public transport. Price of 3-day Hola Barcelona Card: €22.20. Price of 3-day Barcelona Card: €46. Cost of seeing the sights: it will vary a lot, depending on the sights you decide to visit. Opening hours of the sights: it’s very important that you check the opening hours of the places you’d like to visit, so that you don’t have the unpleasant surprise of them being closed when you arrive. Try some of the local cuisine: n our plan, we’ve already invited you to eat the typical paella and tapas (especially patatas bravas), but don’t feel you have to be limited to this. If you’re offered some local food in one of the restaurants, don’t hesitate to ask about their specialities, and take the opportunity to try some of them. Eating in the most touristic sites: we know it might look appealing to eat in the many restaurants on La Rambla, due to the special offers and the central location, but we urge you to avoid these places. If you walk just a couple of minutes in any direction down the side streets, you’ll get much better value for money, and much better quality food. 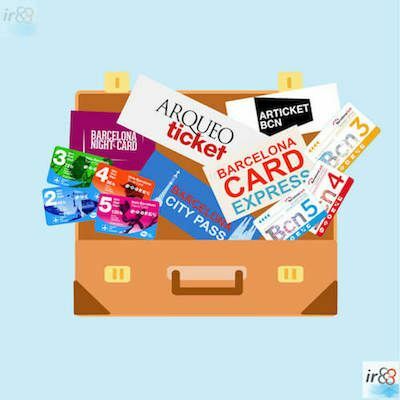 Take care of your belongings: it’s easy to become a bit too relaxed about keeping an eye on your valuables, especially when you’re distracted seeing the sights of Barcelona, but try not to let your guard down at any point, especially in the areas most frequented by tourists, in the metro and on the bus.